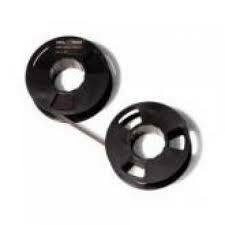 New DataProducts P6600 Black Nylon Ribbons for the Printec 4000/ 4003/ 4300/ FORMSPRO 400 printers. Replaces Printec #90316 ribbons. New Data Products P6800 OCR Black, six (6) per box, printer ribbons. 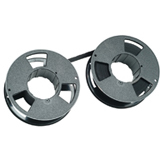 Direct replacement for the Printronix 250269-005 ribbon. Fits Printex (Printronix) 300 / 600 / P6000 printers. DataProducts P6810 (IBM 1040990) Black, 6 pack, Compatible Nylon Ribbons, 4 mil, 60 yd. New DataProducts P6810 Black, 6 ea., Compatible Nylon Ribbons for the Printronix P300 OCR/ P600 OCR, IBM 6400-010/ 6400-010/ 6400-15/ 6400-050/ 6400-p10/ 6400-p50/ 6404/ 6405/ 6408 line printers Replaces the IBM 1040990 ribbon and Printronix 107675-005 ribbon. New Printronix 102796-001 Black Compatible Printer Ribbon for the Printronix P300/ P600/ P3020/ P3041/ P6048/ P6080/ P9012 printers. Genuine Printronix 172293-001 Black dot matrix ribbons (6 per box) designed for the IBM 6400 Model i05 / i10 / i15 / i1P / i5P dot matrix ribbon printers. Genuine Printronix 175006-001 Black dot matrix ribbons (6 per box) designed for the IBM 6400 Model i05 / i10 / i15 / i1P / i5P dot matrix ribbon printers.